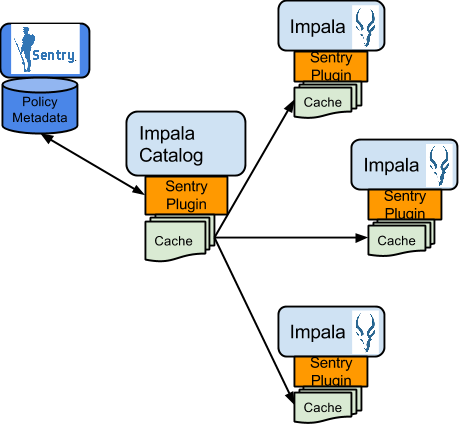 For information about configuring and managing the Sentry service, see the Apache Sentry Guide. The Sentry RPC server manages the authorization metadata. It supports interfaces to securely retrieve and manipulate the metadata. In CDH 5.13 and above, you can configure multiple Sentry Servers for high availability. 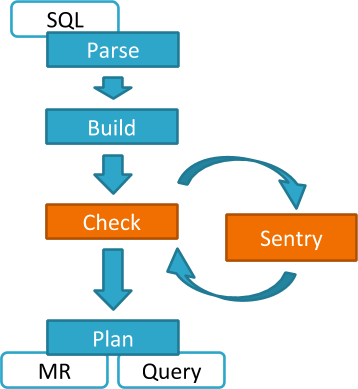 See Sentry High Availability for information about how to enable high availability for Sentry. 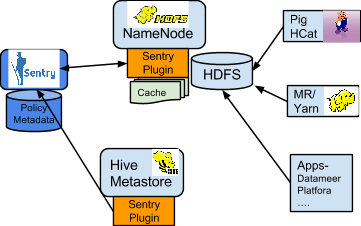 Hive works with both the Sentry service and policy files. Cloudera recommends you use the Sentry service, which makes it easier to manage user privileges. For more details and instructions, see Managing the Sentry Service for more information. Search works with both the Sentry service and policy files. Cloudera recommends you use the Sentry service, which makes it easier to manage user privileges. For more details and instructions, see Managing the Sentry Service.